More than ever, people are coming forward and sharing their experiences with after-death communication. Through television and film, the question of whether life exists beyond death has captivated our popular culture—not because it’s a new question, but because people are opening their minds to new answers. 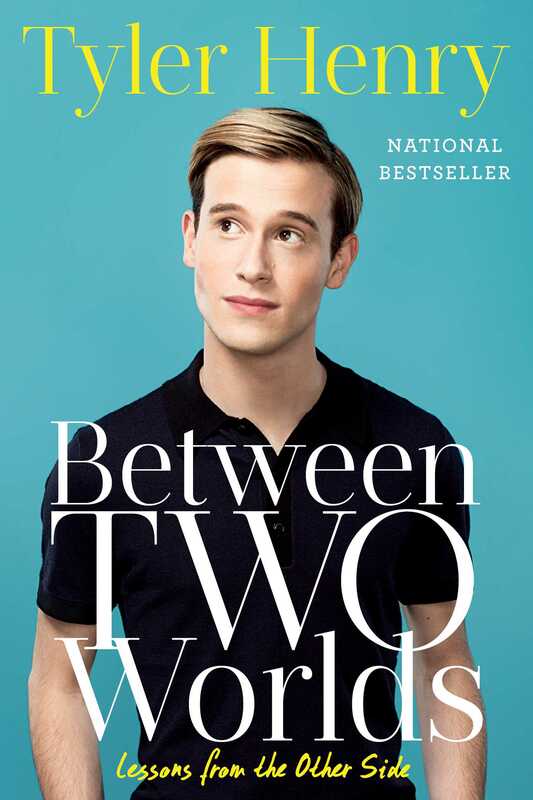 When I first got the call that my television show, Hollywood Medium with Tyler Henry, had been green-lighted, I promised to make it my purpose to explore whatever answers came my way and to share them honestly with the world. That’s the mission I’m still on, and my own questions multiply by the day. With all the different opinions about mediumship and psychic phenomena in circulation, I aim to provide unique, easy-to-understand explanations, obtained through my firsthand experiences. I’m a firm believer that people should be able to decide for themselves what resonates with them. I’ll share what I’ve learned through communicating with the other side, and I encourage you to take from it what resonates with you. When it comes to the hereafter—things aren’t black or white. Taking into account the gray areas in between, I’ll explain some of the more consistent dynamics I’ve observed over the course of more than a thousand readings. There are many exceptions to the rules, but that’s the beauty of the other side. It’s far more complex and nuanced than anything we as humans can comprehend. There are some big questions to which I may never have the answers. However, every small answer helps contribute to our understanding of a much larger question: what happens when we die? I speak to dead people. More interestingly, the dead speak back to me—primarily through sending mental impressions and sensations from the other side. All of what I do revolves around validation—that is, getting the confirmation from the sitter that the information I’m receiving is accurate and could only be known by the communicating spirit. Upon validation, my client gets the knowledge that their loved one’s soul continues on, is at peace, and is able to communicate anything that had been left unsaid or that was realized during the transitioning process. If there’s anything I’ve learned through my work, it’s that in life, diversity is a gift. I know many different kinds of people will be drawn to this book, from all different backgrounds, belief systems, and degrees of familiarity with the subject matter. In the following pages, I’ll share with you my spiritual beliefs. However, I think it’s more important for you to understand the process of exactly what happens when a spirit comes through. For that reason, I’ll focus on the details of the experiences, so you can draw your own conclusions about how it all fits into the big picture of your beliefs. Individual differences aside, I think we can agree that we all benefit from the healing of others and the idea that love is eternal. The goal of my work, and the work of many other authentic mediums, is to reinforce these universal truths. I understand that my ability is a gift and not something for which I can take any credit. I’m just a conduit for information to come through and reach those who are open to hearing it—something we all have a natural ability to do, to varying degrees. Practice breeds consistency, and the more we develop and trust in our gut feelings, the more significantly and accurately our intuition can help us. Even after doing countless readings, I still have to remind myself daily to “get out of my own way” and allow myself to be a clear vessel through which messages can flow. When I first started learning about my abilities, I spent endless hours at bookstores and libraries, reading multiple books a day, and searching the Internet for resources and information about what made me so different. Being the only one experiencing an entirely other world was alienating in the truest sense. I felt like I had one foot in this world and one in the next. I didn’t understand, nor did I feel understood by, either side. As a kid, learning the ropes to our earthly dimension was challenging enough, let alone throwing another one into the mix. I was somewhere in between, a messenger in the middle of two realms: a medium. Throughout my life, I’ve come to understand the world in two ways. In one sense, I’m like any other twenty-year-old adjusting to adulthood, learning to live on my own (and use a dishwasher for the first time, admittedly). Yet in a very different sense, the part of me that most people see is Tyler Henry the medium—the Macaulay Culkin look-alike who gets in touch with celebrities’ dead loved ones on television. Though most people can’t relate to what it’s like to get visual, sensorial, and mental impressions from people who’ve passed away, everyone is capable of understanding the impact those messages have on the loved ones who need it most. Whether it’s a reference to pink fuzzy dice from your aunt Edna, or an inside joke shared with a beloved grandmother, these are the messages I strive to deliver—no matter how random they may seem to me, personally. When my clients come for a reading, I view my connecting process as a bit of a puzzle to solve. I receive impressions from one or more spirits, and together, the querent and I establish how the message is relevant and where it connects. Readings are 50 percent receiving the information and 50 percent untangling it. Throughout the past few years of doing sessions, I’ve seen countless forms of healing result from validating messages. Whether it’s closure from a loved one, much-needed proof of a hunch, or a release of guilt, I’ve been able to see what makes the most life-changing differences in each after-death communication. With each contact I make, I aim to bring a loved one through so clearly that it’s undoubtable to my client that I’m connecting. This validation comes from describing personality traits, quirks, family traditions, inside references, and sometimes even physical mannerisms. It’s the small, but specific, details that communicate the essence of who someone is in life, and the same can be true for those on the other side. Every day brings new experiences and new stories shared by souls that are able to understand what truly mattered in their lives. Their messages teach us what we should value in our own. Above all, I’ve learned that transitioning to the other side gives perspective. Ironically enough, it’s the dead who have the most to teach us about life. In this book, I hope to provide the reader with a narrative unlike any other—one that’s honest, down-to-earth, and uses terms everyone can understand. Besides answering some frequently asked questions, I want to delve into all areas of my human experience—as well as those of the individuals, living and dead, whose paths I’ve crossed.